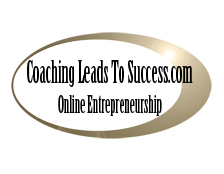 AboutCoachingLeadsToSuccess the platform founded by PaTrisha-Anne Todd, a renowned Author and Ambassador for Success. Coaching Leads To Success is the baseline to learn how to enjoy and manage a lifestyle by design. "I believe that Coaching Leads To Success because its a journey in stages, step-by-step towards the goals of a Business and Life by Design"